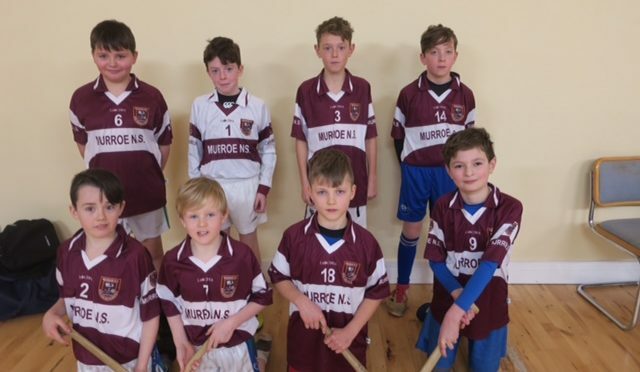 Well done to the 3rd and 4th class boys who competed in the East Limerick Cumann na mBunscol indoor hurling blitz at Caherconlish Hall on Tuesday the 5th of February. The boys competed very well and showed great skill, heart and determination throughout the competition. They defeated Donoughmore, drew with Castleconnell and lost to Nicker. A big well done to all involved. Panel: Cillian Holmes, Cian Long, Joseph O’Brien, Adam O’Riordan, Tadhg McElligott, Peter Ashe, Alex Woodland, Zinedine Laihem.